A thermally insulated foldable cup for hot or cold beverages including a flexible inner liner, an outer shell, and an insulating layer between the outer shell and inner liner. 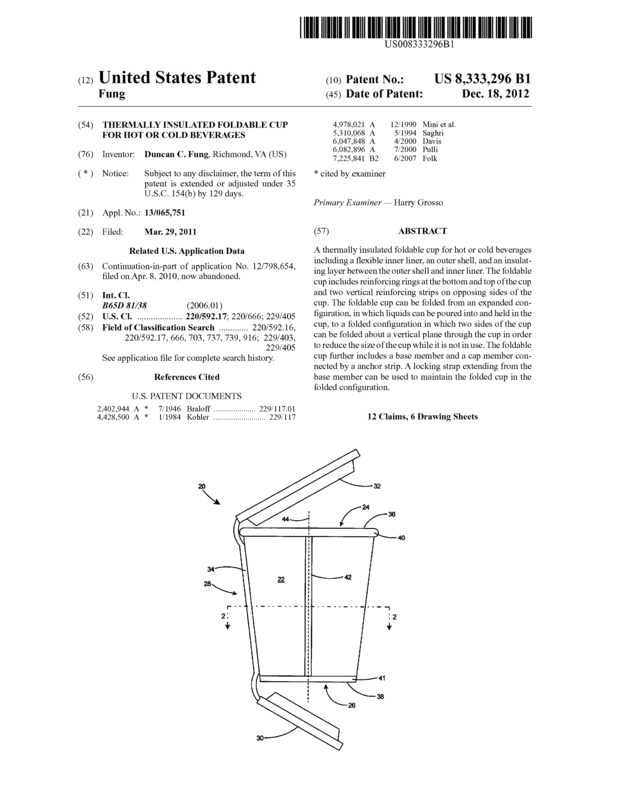 The foldable cup includes reinforcing rings at the bottom and top of the cup and two vertical reinforcing strips on opposing sides of the cup. 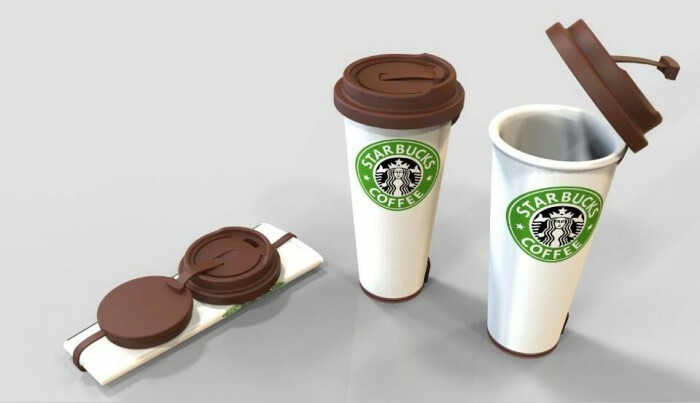 The foldable cup can be folded from an expanded configuration, in which liquids can be poured into and held in the cup, to a folded configuration in which two sides of the cup can be folded about a vertical plane through the cup in order to reduce the size of the cup while it is not in use. The foldable cup further includes a base member and a cap member connected by a anchor strip. A locking strap extending from the base member can be used to maintain the folded cup in the folded configuration. Unlike other so call collapsible cup, my invention is the safest by design and the one and only one to provide insulation feature. In mass production, the cost will be less than a US dollar to produce and expect the selling price for less than $10. The product concept can be expanded into children market and sport market. Since it is a reusable product and can be recycle, it saves the environment for less garbage in the landfill. My product is a Point of Sales item. Selling through near cash registers at stores such as supermarkets, sport retailers, convenience stores, etc. Page created at 2019-04-21 18:12:53, Patent Auction Time.